I build and invest in software companies. I’m currently a Partner at Rhombus and Beta Fund, and an Adviser to ConsenSys. 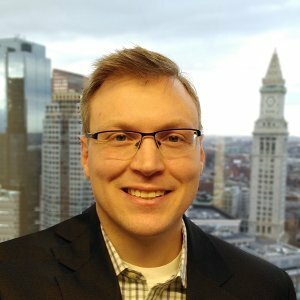 On the side, I contribute to the Enterprise Ethereum Alliance, serve on the Board of Invoke, am an outside director of a technology merchant bank for 15 years, and restore Massachusetts native forests. Previously, I founded and sold a web-based market for intellectual property licensing, developed investment signaling tools for global equity funds for 9 years, ran a computational commodity fund for 7 years, founded New England AI, co-founded Beacon Angels, helped build a medical education company (sold), and was an analyst in the Fixed Income Applied Research Group at JP Morgan Investments. I love machine learning, decentralization, fintech, computational thinking, and the dynamism of startups. Corporate finance, M&A, strategic, and operational advisor. 60+ projects including acquisitions, financing, restructuring. Built a venture capital company, a member of the Wolfram consortium of companies. Member of two-person Investment Committee for three investment limited partnerships. Software engineer with focus on data acquisition and quantitative signaling: relative value, time series, yield & premium curves, fundamental valuation, statistical arbitrage, and efficient frontier modeling. Built a community for fast-growing companies and active private investors. Chair of the Screening Committee for 7 years. Deal sourcing, due diligence, & technology focus. Sept. 2000 – Sept. 2001: Chief Strategic Officer of AnIdea Corp.
May 1999 – Sept. 2000: Founder & CEO of ThoughtStore, Inc. Founded ThoughtStore, an online intellectual property licensing exchange. Served more than 600 individual and institutional IP portfolio managers. Sold ThoughtStore to AnIdea Corp. Licensed system to Lucent Technologies for license management of software products from Bell Laboratories. Responsible for the asset allocation, investment research, and performance measurement for the firm. Developed automated systems for asset allocation, documentation, and client-ready presentations. Built automated notification tools to streamline client communications. Built automated marketing reports to identify cross-selling targets and improve sales pipeline visibility. Technology Committee chairman, Executive Committee member. Primary responsibility for development of Broad Market and Tax Aware Frameworks (fixed income asset allocation models). The models produced portfolios optimized by excess or absolute risk and return characteristics, with optimal bet sizes and turnover rates for strategic and tactical management of duration and sector allocations. Tax Aware Framework additionally considered income and capital gains tax rates. Produced 19 custom pitches with asset allocations, resulting in new or enhanced mandates for $4.2 Billion from institutions, government organizations, and high net worth individuals. Assisted development of relative-value program for security selection in dollar-neutral fund overlay strategy for the Multi-Markets Group, an internal hedge fund. Produced market analytics for pricing and strategy of Muni BMA swaps, duration management of taxable portfolios using derivatives, and crossover trading. Taught employee classes for fixed income analytics, derivatives pricing, and asset allocation. Received the only perfect score on the division-wide annual performance review for 1998. Graduate courses: Principles of Corporate Finance, Legal and Regulatory Policy Toward Markets, International Macroeconomics, Topics in Applied Economics: Financial Markets. Original Research: Finance: Deviations from MPT, CAPM, and APT, as Applied to Global Equities Indices; Number theory: Order Relations of Infractions. Feed-forward Neural Networks and Radial Basis Function, Nonlinear Dynamic Black-Box Modeling, Classification and Clustering with Neural Networks.